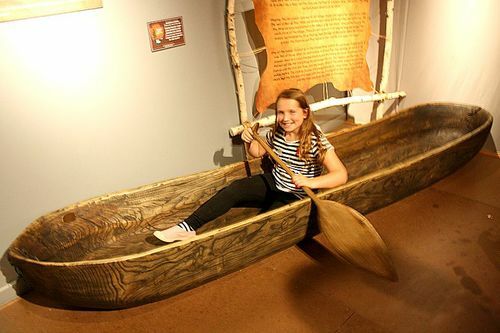 Experience educational summertime activities in an exciting way - the Frazier Museum offers guided programs on fun, historical themes every summer for rising K through 8th graders. Bring your YMCA, church or day care group to take advantage of a hands-on learning experience that will be the hit of the summer! Here is a summer vacation your campers won’t soon forget! Through a series of Time Traveler challenges in the museum galleries, students will travel through time and across continents to uncover secrets of the Samurai of ancient Japan and the castles of medieval Europe. They’ll peek into the lives of Apache warrior Geronimo, President Teddy Roosevelt and samurai from 16th-century Japan! As "Time Travelers in Training", students will not only complete mission tasks in the galleries, but during the hands-on class session and a live performance. Get ready for an adventure! Frazier’s immersive exhibit, The Lewis and Clark Experience re-traces the amazing journey of the Corps of Discovery, as they sailed, slogged, and tromped their way west across America during the early 1800s. You’ll travel along with Lewis and Clark, interacting with the people, places, and animals they “discovered” before enjoying a selection of expedition-themed crafts and activities in the hands-on class session. And the fun is not over yet – finish up the day with a live show performed by one of our very own Frazier actors. If you are ready to book a live performance at your site, please fill out this form. The Adventures of Pecos Bill: The tall tale of cowboy hero Pecos Bill comes to life with puppetry and audience interaction. Day in the Life of a Cowboy: Discover what life was like for cowboys in the American West during this engaging and interactive performance. Arming the Samurai: How would a Japanese samurai of the Edo period (1603-1868) have armed himself? Discover this and more about the "way" of the samurai in this engaging demonstration.